100 %,Soild Land,Prime Loctsion,Walikng Distance to Masjid,Commerical,Park. Mian Boulevard,Walking Distance To Zoo,Back Open,100% Solid Land,Golden opportunity For Dream House. Back Open Hight Loctsion,Bouleverd,Possission,4Marla Extra Land. 15 Marla Extra Land Paid,Corner,Park Face Size 15.3 Marla Golden Opperunity For Build House. 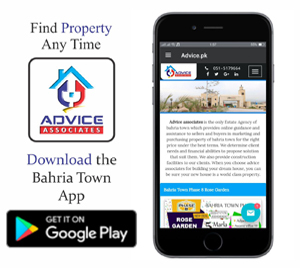 Bahria Town Phase 8 Rawalpindi Located 25 Km From Airport ,Near To D.H.A Phase 1.In Bahria Town Phase 8 Rawalpindi New Cutting Plots are Available on Cash Price and Ready to Possession.New Cutting Plots in Different Sector Like A-1,B,D,E,F-1,I,Club City. 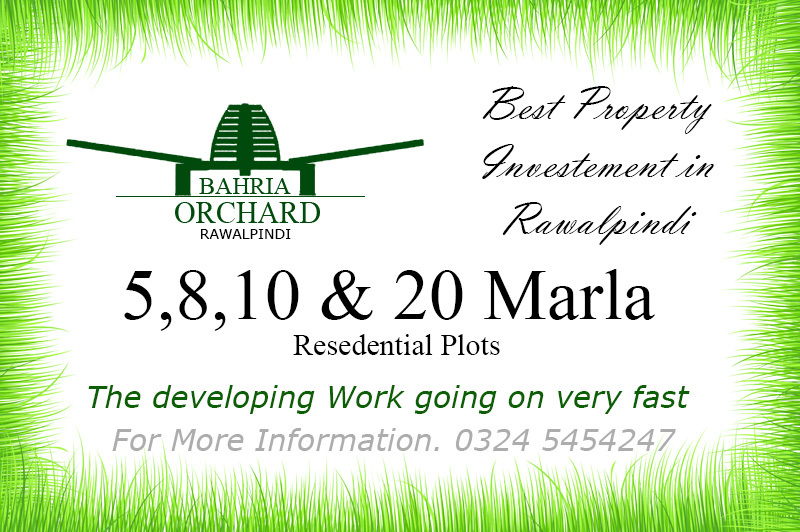 In Bahria orchard plots are now available in resale only.5 ,8,10 Marla and 1 Kanal residential plots are available here.Prices of plots are very reasonable So, it is a Best investment opportunity in bahria. It is adjacent to Phase 8 sector F4,10 km away from Main GT road. 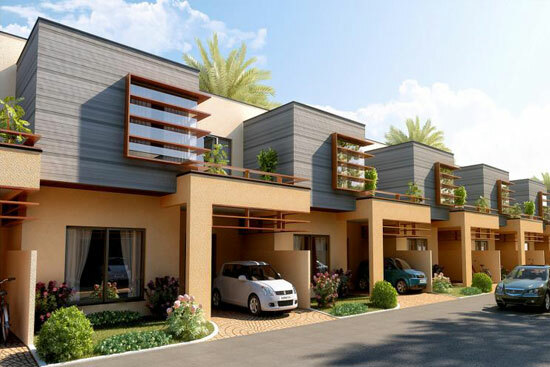 Bahria Town Houses Are Available on 2 Year Payment Plan. 5, 8, 10 & 20 Marla Houses. Possession Can be Handover on Last Installment. Location.Bahria town Phase.8. 5 Marla Double story House Price.9500,000. 8 Marla Double story House Price.12000,000. 10 Marla Double story House Price.17500,000. 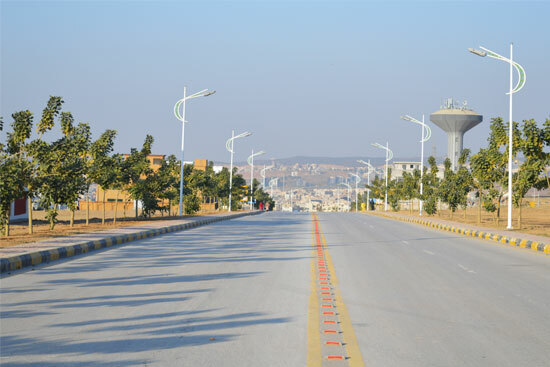 Bahria town phase 8 Single story 5 Marla House, 2 bed,bath,kitchen,dring room ,Lawn. 10 Marla,1&2 kanal Resedential Plots are, Available in Reasonable Price Possession availble. 10 Marla,1 knal , 2 knal Resedential Plots and House, Available for sale. Resedential, Commercial Plots Farm Houses & Apartments Available For Sale only cash . We provide unique type of Home Building Services in Bahria town. Advice Construction building villas/houses on Turn Key Basis in various popular locations in Bahria town islamabad and Rawalpindi.. we have not built homes only but credibility and standards too.